For the second time in less than a month, the only hospital in Maniwaki, Que., has had to send patients out of town because there are no surgeons on call. 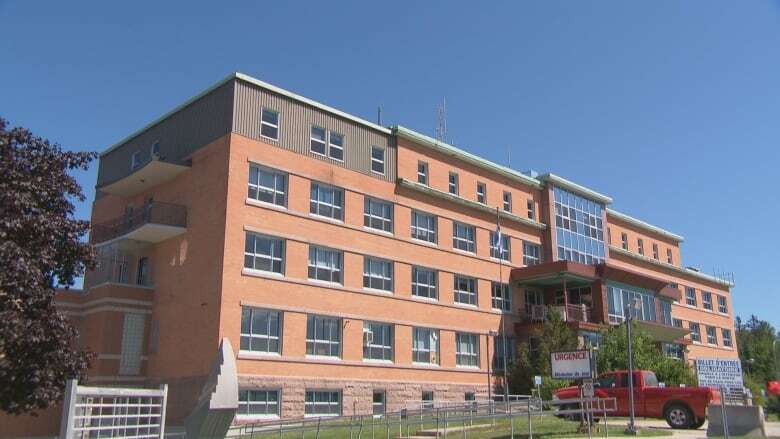 According to a service notice obtained by Radio-Canada, there have been no surgeons available at the Maniwaki Hospital since Monday, and won't be again until after Friday. The western Quebec hospital, about 135 kilometres north of Gatineau, underwent a similar shortage between Nov. 16 and Nov. 20, forcing it to shut down its operating room. The hospital has been grappling with a chronic shortage of both surgeons and anesthesiologists in its surgical unit for months. During the shutdowns, patients have been redirected to the Mont-Laurier Hospital, about 60 kilometres east of Maniwaki. The regional health authority, the Centre intégré de santé et de services sociaux de l'Outaouais (CISSSO), said it's looking for solutions and is trying to convince the Fédération des Médecins Spécialistes du Québec and the province's health minister to bring in surgeons from outside the region. "We wouldn't want to overwork our surgeons too much because a surgeon needs to be in good shape to do a good service," said Dr. Nicolas Gillot, an assistant director of with CISSSO. "We are all aware of the risks in the short and long term." In September, the severe shortage of anesthesiologists in Maniwaki threatened the surgery department with temporary closure for two weeks. Specialists who came to fill the gap received bonuses of $1,500 per day. The shortage of both surgeons and anesthesiologists has increased since the fall. Chantal Lamarche, reeve of the MRC de la Vallée-de-la-Gatineau, said those bonuses aren't appropriate, and won't solve the problem in the long run. "It will benefit surgeons and not patients in the Gatineau Valley," she told Radio-Canada in French. "No one will come to settle down here, we will not have any services." A "swat team" of 20 anesthesiologists from around the region will help fill the gaps in the Maniwaki operating room over the holidays to prevent further closures. They'll be there between Dec. 22 and 28. "We asked the Association des anesthésiologistes du Québec to give us a swat team [and] that was granted, so there will be no shortage for that week," Gillot said.